You are kindly invited to help with the iftar at Masjid Alhikmah. 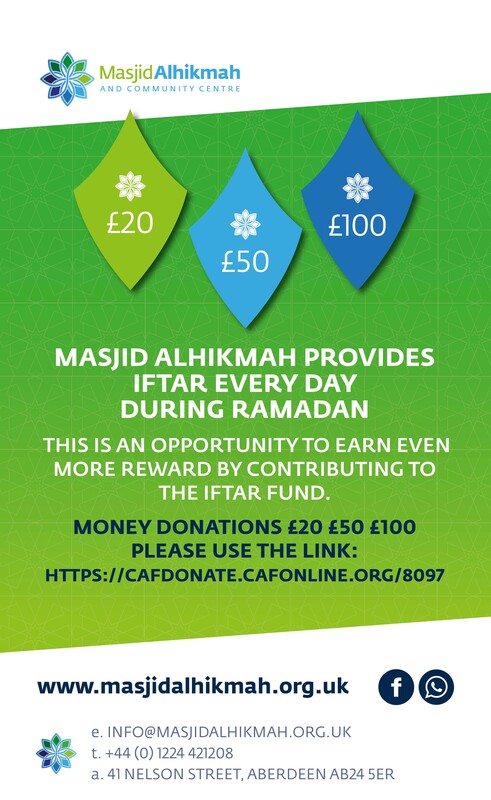 You can either bring food for iftar or donate £ any amount you wish. Contact Br Farooq Durrani 07851570734 or mfdurrani@hotmail.com in advance if you would like to bring food or have any queries.